We are now entering the business end of the Ligue 1 season as teams have left the January transfer window and now have a firm idea of what they can achieve this season. Many teams started off thinking they were going to be battling it out with the heavyweights but that hasn’t always been the case. In contrast, some have completely overachieved this year and as a result have had to readjust their expectations for the rest of the campaign. We are in for an extremely exciting second half of the season with many bumps in the road still to come. Many came at the weekend and that’s what we’re going to have a look at here. It’s no secret that Neymar is PSG’s main man. The Brazilian has contributed to almost 30% of their league goals this season with his presence and skill on the pitch probably raising that number to around 50% in truth. The €200m man has been in fantastic form in his second year in Paris but a rough injury to his metatarsal is set to keep him out until April. PSG are ten points clear at the top but their second match without Neymar at the weekend didn’t exactly emanate that dominance. They lost 2-1 in Lyon despite taking the lead after seven minutes. PSG didn’t show the same guile and craft that they have with Neymar as the front two of Mbappe and Cavani didn’t really create much of real danger. This allowed Lyon to really get into the game and caused Paris to lose their first league game of the season. It’s no coincidence that the loss of Neymar affected this result as when Lyon played PSG in October, the champions won 5-0 with the Brazilian having the most touches, most key passes and was fouled the most. It was a vintage Neymar performance but this was lacking in PSG’s match at the weekend. 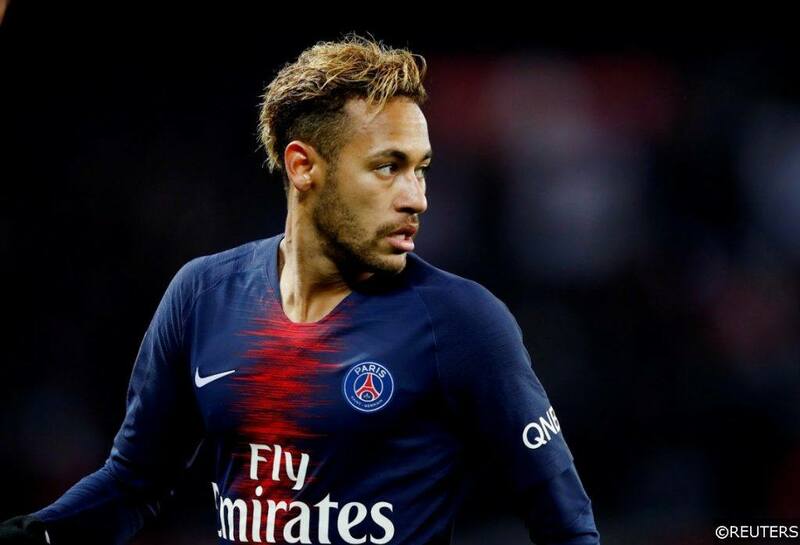 They are still odds on to walk this league but with Neymar expected to miss both Manchester United matches, the European dream could be over for Paris. The Champions League has always been the main competition for PSG but without Neymar, that could be at threat of ending prematurely. However, whenever one door closes, another opens and that could be the case for a number of younger players looking to make a name for themselves at PSG. The likes of Moussa Diaby and Christopher Nkunku, who was recently linked with Arsenal, have both shown they have the necessary quality to play for Paris’ first team but with the team so top-heavy the chances haven’t arisen for the young Frenchmen and they have therefore been relegated to the bench and minor sub appearances. The opportunity is there for them now and it will be interesting to see if manager Thomas Tuchel gives them the appropriate game time. They play Villefranche in the cup tonight, so this would be a perfect opportunity to do so. Leonardo Jardim took charge of his first home match back at the helm of Monaco at the weekend. The Portuguese has essentially been on holiday for the last three months after his sacking but was reinstated as head coach in late January following Thierry Henry’s dismissal. The club said they had been premature in letting go of Jardim but how has it gone since his return? Not great. The club probably expected a swift return to form with free-flowing attacking football as they still have one of the best squads in the league but that hasn’t been on show so far. Jardim has taken control of two matches against some of the weakest teams in the league but there is a lot to fix at this club. They threw away a two goal lead against Guingamp in the Coupe de la Ligue semi-final and went on to lose on penalties. They managed to win their first league home game of the season at the weekend against 14th placed Toulouse but les Violets really gave them a good game, despite Monaco having 60% of the possession. 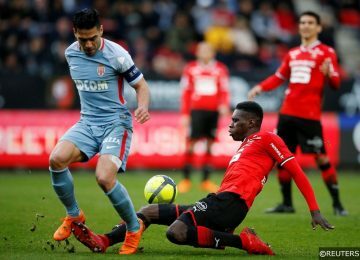 It will be a great weight off Monaco’s chest to win at home on Saturday but they are still embroiled in a relegation battle and have had to reprioritise their goals this season. They finished 2nd last year but currently sit 18th in the league and have had to scrap their plans for European football next season. Survival is the main goal for this season so they can reevaluate for next year but with them still not safe, the last few months of this campaign are sure to test each end every player of Jardim’s squad. They face Montpellier this weekend which will be a real test of Jardim’s steel as la Paillade are 5th in the table and pose the second best defence in the league. Monaco had a little bit more fluidity in attack with the likes of Rony Lopes and Aleksandr Golovin contributing more to the play than they have in recent weeks but it still wasn’t perfect and what the club’s hierarchy will ultimately be expecting of the team. Despite this torrid year, they will fully be expecting to finish in the upper reaches of the table next season, the question remains if Jardim will be the man to guide them there? Categories: Blog and Football. Tags: as monaco, cavani, French Ligue 1, Leonardo Jardim, Ligue 1, Lyon, mbappe, neymar, Paris Saint-Germain, PSG, and Thomas tuchel. Team Tag: as monaco and PSG. League: French Ligue 1. Sports: Football.